We’ve been following the Righthaven lawsuit drama since its inception in March. Its scope is broadening, as both the number of lawsuits and the total sought in damages are increasing, as is the public outcry against the company practices. 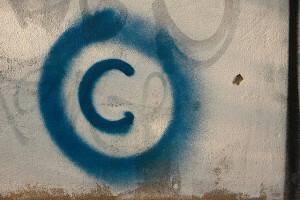 Whatever one’s view on the subject might be, the issue of copyright is currently hot, and one of its aspects, the concept of fair use, is being debated with more zeal than ever. First, the latest update. As we’ve previously covered, Righthaven has been suing bloggers and website owners over copyright infringement of the Las Vegas Review-Journal (LVR-J)stories. As of last Wednesday, August 18, the total jumped to a cool 100 with two new lawsuits. The Las Vegas Sun reporter Steve Green, who has been covering the story extensively since the beginning, reports that one lawsuit was filed against Dominique Houston and the Chris Brown Network, “which allegedly are associated with the website www.chrisbrownconnection.com.” Apparently, two different users posted two LVR-J stories in separate instances on the now defunct site. Another suit was filed against Hush-Hush Entertainment Inc. and PN Media Inc. after a story from LVR-J was cited by a third-party user on the message board of the website owned by the companies. As before, Righthaven is seeking $75,000 apiece. Filing federal lawsuits against frightened individual bloggers who are without significant legal or financial resources, and doing so without any attempt whatsoever to resolve the dispute informally, is deplorable behavior. That would apply to anyone. But for a newspaper to do it is abhorrent. Mesnick questions the sensibility of Righthaven’s actions on several levels. First, he is not at all sure that the venture is lucrative. Quite a few of the lawsuits have been settled out of court — for amounts considerably less that the demanded $75,000 in each lawsuit. Plus, Mesnick argues, if one considers the cost of buying copyrights and the actual process of suing, when the legal dust settles, Righthaven may not be walking away with much. Yeah, right. Suing people linking to you is going to get more links? Considering that some of the examples of sites being sued included one that posted just 4 paragraphs of a 34-paragraph article… with a link, it seems that these lawsuits are almost guaranteed to lead to less linking. Gibson keeps claiming that his is not a legal shakedown business, but a technology business. This is pretty laughable too. If they invested in technology beyond ‘searching Google,’ they’ve wasted money here. Not that the defendants aren’t fighting back. The “Stop the LVRJ/RIGHTHAVEN witch hunt!” page on Facebook is brimming with information on how to defend yourself if you’ve been sued by Righthaven. Righthaven Lawsuits website sports the related media coverage and sites of attorneys handling the cases. It also posts progress updates on current lawsuits, as well as the total count of lawsuits and estimated total amount of settlements to date. Since some lawsuits involve message boards, the defendants can argue they are not liable, since the material was posted without their consent by third-party users. Another argument is that the material was protected by fair use, and, in cases where the defendant is out of state, that Nevada has no jurisdiction over that defendant. It would be interesting to see what turn this legal saga takes next, and whether it will affect the copyright laws in the end. Whatever the outcome, it’s far from being over. Image by Horia Varlan, used under its Creative Commons license.